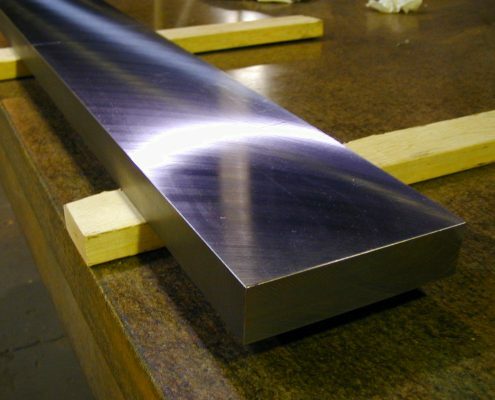 Kromite Econo-Finish is a modified 4140/4142 steel. Typical hardness is Rockwell “C” 28/34. 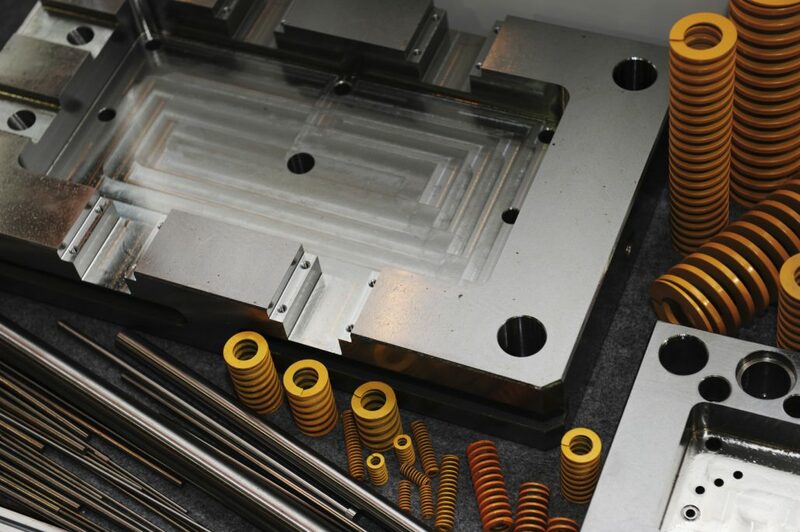 This is a high strength alloy, furnished pre-machined (blanchard ground top and bottom), decarb-free and oversize; ready for your finish machining. It is an excellent choice for many tool room applications where toughness is required. Consider this product for brake die, support tooling, die holders, short run stamping and bending dies. 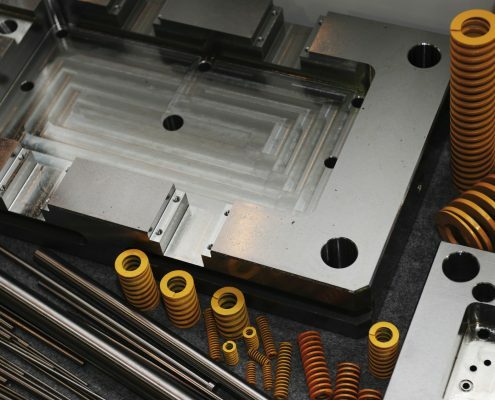 This pre-hard, pre-machined product will dramatically reduce material preparation time and allow you to get finished parts in service quickly and to extend service life. All products are produce from saw cut plate. We ensure that all of the decarb (from the heat treating process), has been removed. This “decarb-free” surface finish will accept maximum surface hardening for maximum wear resistance. The PLUS TOLERANCE is provided to minimize machining at your job-site. Call or email us for a quote. *Please inquire on all Annealed stock options. Tempering – No tempering should be required, since the product is furnished to you in the pre-hardened condition (269/341 BHN). 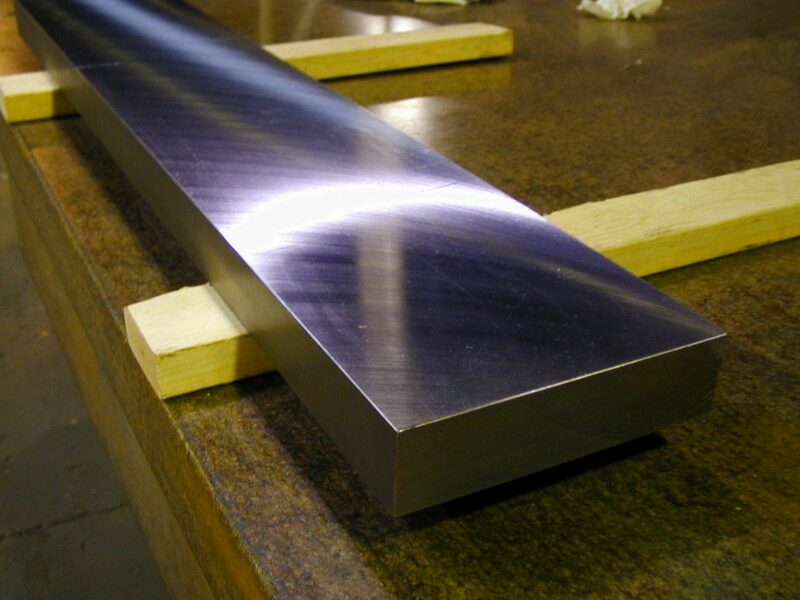 If you anticipate re-hardening to a higher hardness, inquire on our annealed product. Annealing – Heat slowly to 1,500°F and hold for 1/2 hour per inch of thickness. Furnace cool at 20°F per hour to 1,230°F; air cool to room temperature. Expected hardness is 220 BHN. Annealing – Heat slowly to 1,450/1,500°F and hold for 1/2 hour per inch of thickness. Furnace cool at 20°F per hour to 1,230°F; air cool to room temperature. Hardening – 1,550/1,580°F – Temper immediately. Do not let temperature fall below 1,475°F between the hardening temp and quenching. Sheffield™ Redi-Finish is the past protected tradename of North American Steel Company. Centrex Pre-Machined is the past protected tradename of Ludlow Steel Company.